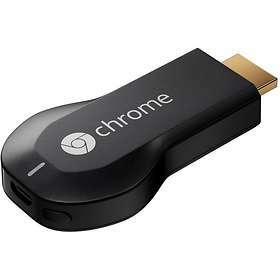 Google Chromecast allows streaming content directly to your tv set from the web. Unlike other similar services, the content is not streamed via the device used for playback, leaving it free for other tasks. Supports Android, iOS, Windows and OS X. Released in 2013.